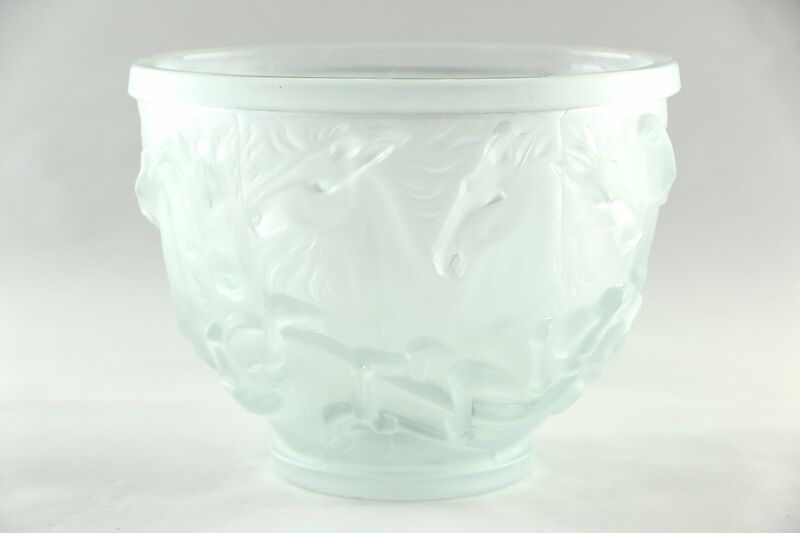 A beautiful crystal bowl is etched with wild horses, molded in high relief. This vintage bowl looks similar to "Lalique" crystal from France, but there is no signature that we can find. Size is 8" diameter and 6" tall.